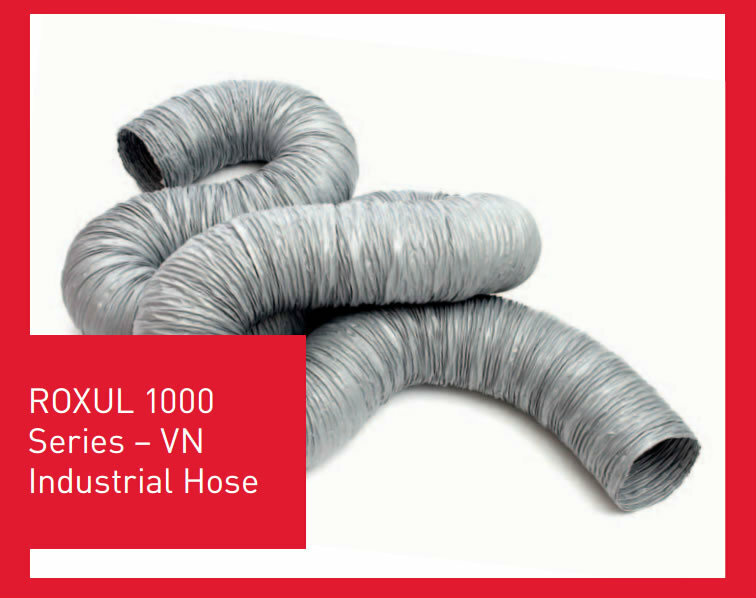 1000 series – VN industrial flexible hose is constructed of vinyl coated nylon fabric with an encapsulated vinyl coated spring steel wire helix. It has good resistance to chemical, and is a self-stretching durable duct which can be subjected to repeated flexing. the duct maintains its full diameter on bends, is light weight and easy to handle.